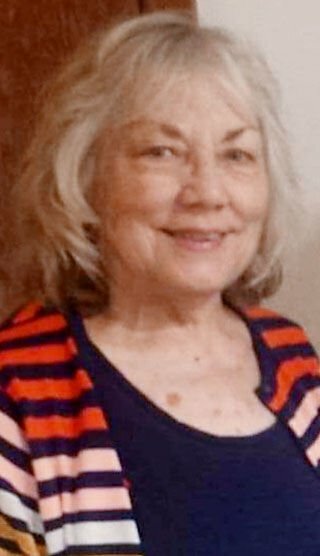 Constance “Connie” Jean Freimark (Beisell), beloved mother and wife of 54 years, passed unexpectedly but peacefully from this life into everlasting Glory on her 80th birthday; January 6th, 2019, at the Mayo Hospital in Eau Claire, Wisconsin. Connie was born on January 6th, 1939, in Goldfield, Iowa. She attended schools in Goldfield, where she excelled in women’s basketball. The family later moved to a farm near Le Roy, Minnesota, and Connie graduated from Le Roy High in the Spring of 1956. In the Fall of 1959, Connie married Harold Foster in Spring Valley, Minnesota. They had three children: Rhonda, Brian, and Garth. Harold died accidentally, while the children were quite young. Later, as a young widow, Connie met Gerald “Jerry” Freimark, and the two fell in love. They were married in Indio, California, on June 23rd, 1964. The couple had two sons: Randy and Bradley. Unfortunately, Randy survived for only a few days. Connie and her family resided for many years in rural Fountain City, Wisconsin, before spending several more years in rural Whitehall, Wisconsin. She and Jerry relocated to Chippewa Falls, Wisconsin, after Jerry retired, for just a few years before Connie passed. Connie was friendly, active, outgoing, and independent. She always put others first, and gave freely of her love, her time, her efforts and her finances to those she loved and to those in need. She enjoyed socializing with both family and friends. If you knew Connie, you loved Connie! She enjoyed travel and had many wonderful times at the couple’s cherished Northern Wisconsin cottage. She had a successful career working at Watlow in Winona, Minnesota, where she made many life-long friends. Connie will be missed by many, many family members and friends. She was preceded in death by her parents, Arthur and Jesse (Richardson) Beisell, sisters Cleone and Charlene “Chuck”, brother Earl, daughter Rhonda, and son Randy. She is survived by sister Lois, brother Doug (Shar), husband Jerry, sons Brian, Garth (significant other Michelle Erickson) and Brad (Jessica), grandsons Aarron Santos (Annie), Adam Foster (Emily) and Corey Foster, and great-granddaughters by them. A celebration in Connie’s honor will be held on Saturday, April 27, 2019, at the Chippewa Valley Celebration of Life Center, located at 1717 Devney Drive, Altoona, Wisconsin, beginning at 11 a.m. More details will become available as the date nears at www.chippewavalleycremation.com. During her life, Connie’s life was impacted by both Chronic Obstructive Pulmonary Disease (COPD) and Vasculitis. In lieu of flowers, the family suggests donations in Connie’s name to either the COPD Foundation (www.copdfoundation.org) or the Vasculitis Foundation (www.vasculitisfoundation.org). Chippewa Valley Cremation Services – Celebration of Life Center in Altoona is serving the family.